The RoomMatch Utility RMU206 small-format under-balcony fill loudspeaker features a unique angled baffle enclosure design to minimize the projected height for typical under-balcony and low-ceiling zone-fill applications. 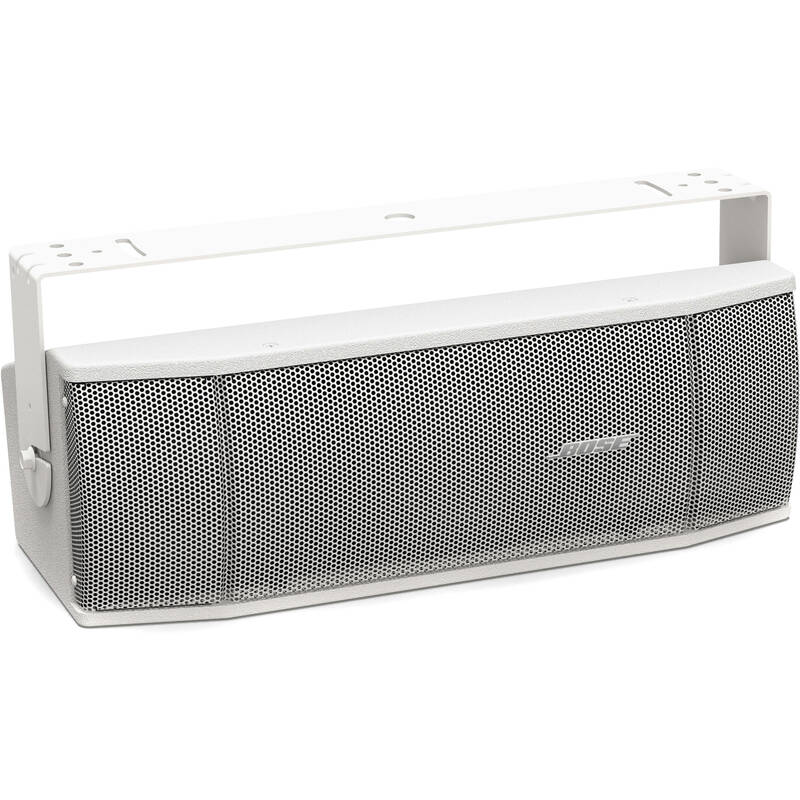 The design also features a single Bose EMB2 compression driver to provide mid/high frequency voicing. Two woofers provide vocal-range output and a rotatable high-frequency waveguide increases mounting flexibility. Now in smaller, 2-way, point-source designs for high-level foreground music, under-balcony and zone-fill applications. For lower distortion and improved vocal clarity; also provides consistent mid/high sonic character. Unique enclosure baffle design provides minimum projected height for under-balcony or low-ceiling mounted applications. Gives wide, even coverage and may be rotated in enclosure. Can reduce the number of speakers, required for under-balcony applications. With extended-excursion voice coils extend response to 80 Hz for low vocal range. Quasi-3-way passive crossover with separate filters for each transducer provides more consistent frequency and polar response. Delivers the performance, required for demanding under-balcony and zone-fill applications. Rear enclosure panel also features threaded inserts to accept third-party accessory mounting brackets. Driver Details Speaker: 2 x woofer driver - 6.5"